Repair ships were usually converted from large merchant vessels and had extensive machine shops and other facilities for ship repair. 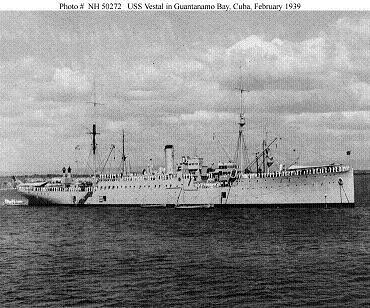 U.S. Navy repair ships were built in large numbers and were used to establish repair facilities at forward bases as the Allied counteroffensive moved across the Pacific. In addition to the general repair ship classes listed below, the Americans constructed specialized battle damage repair ships, internal combustion engine repair ships, and landing craft repair ships. The Japanese badly neglected their auxiliary fleet, and had only a single purpose-built repair ship, Akashi, in the entire fleet in 1941. Akashi was supplemented by Asahi, a converted pre-dreadnought battleship, Yamabiko Maru, a converted passenger liner, and Matsue Maru, a converted cargo ship. These ships were expected only to repair a damaged ship sufficiently to allow it to make its way to a shipyard for complete repairs.